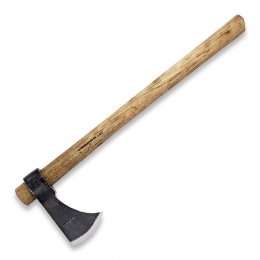 5.75" Condor classic finish 1060 carbon steel axe head with 2.75" cutting edge. Hickory wood handle. Brown leather sheath.